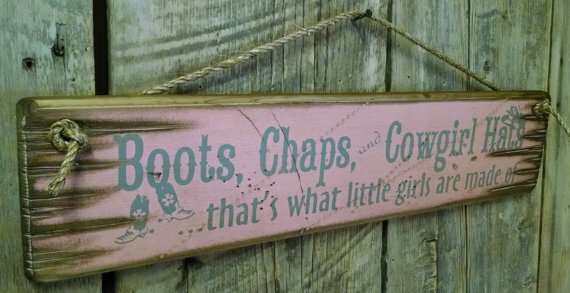 Boots, Chaps and Cowboy Hats, That's What Little Girls Are Made Of! 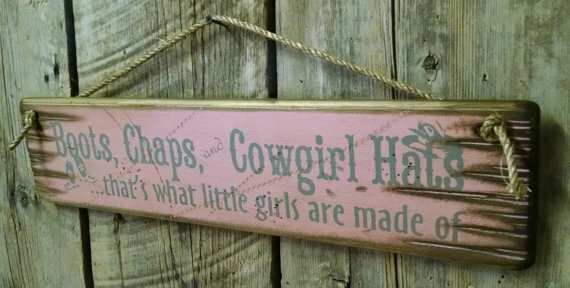 Get this for your little "cowgirl's" room! This pink background sign measures 5.5x24 and comes with the grass rope hanger for easy hanging. Handcrafted with pride!